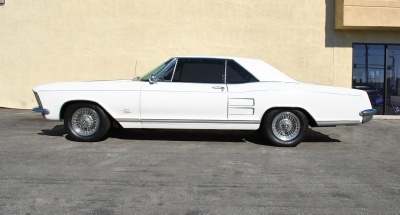 This vehicle is displayed in our San Carlos California Showroom (650) 326-1000. 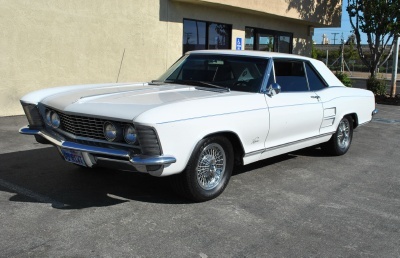 This 1963 Buick Riviera comes to us after having been in possession of the second owner for the past 43 years. 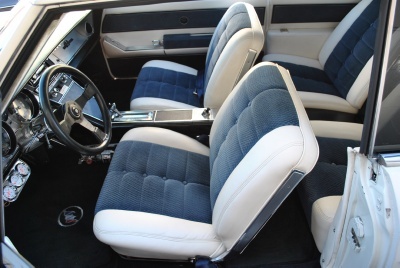 Painted Artic white over a two tone white and navy blue interior with blue cloth seat inserts and door cards this Rivera features a clean interior. Equipped with the original 425 C.I. V8 nialhead that has been bored .30 over and rebuilt with TRW forged pistons and a Chet Herbert mild cam; the engine is claimed to produce 450 horsepower and nearly 550 pounds of torque according to the previous owner. Compression is stated to be 140 lbs. in every cylinder with 11.25:1 compression while never getting over 170 degrees in water temperature. The heavy duty transmission was custom built by Phoenix Transmission and is a switch-pitch 3 speed SP-4000 that feeds a factory posi traction differential with 3.23 gears. 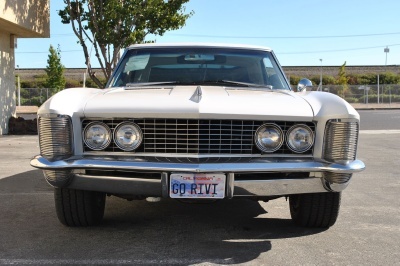 A full electronic MSD ignition and MSD distributor, coil, and wires allow you to get behind the wheel of this Riviera and drive it anywhere without trouble. 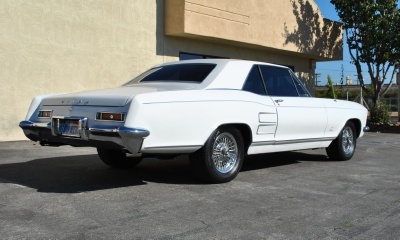 The brake booster has been replaced, the fuel lines replaced, and a custom GS close-ratio steering box has also been fitted in the Riviera. 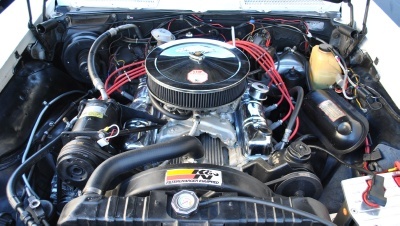 Ceramic coated headers, custom ovalized H-pipe and new Magnaflows round out the other additions to this classic Buick.